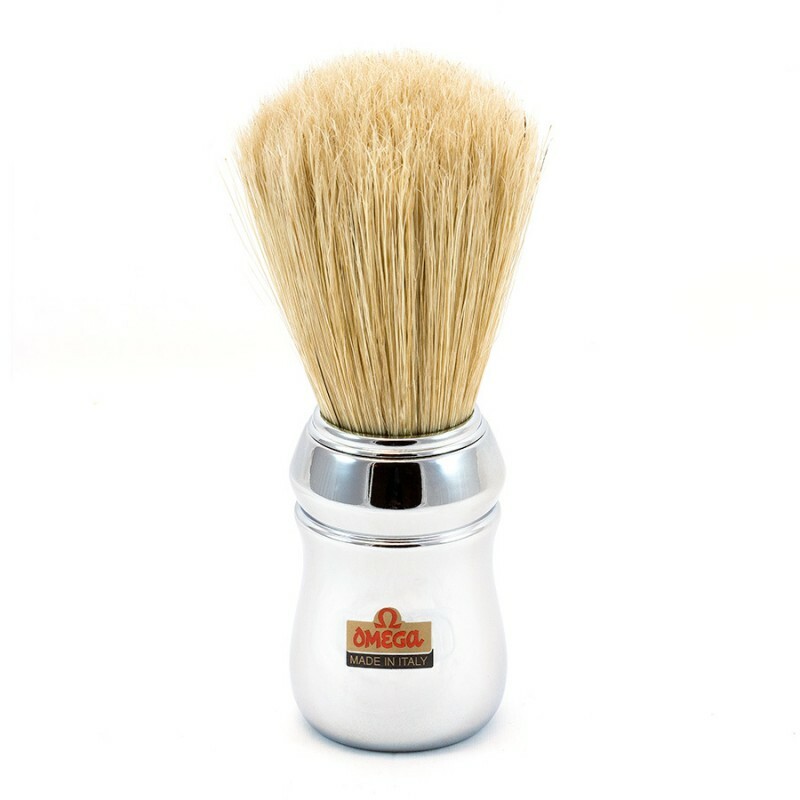 Professional Omega shaving brush in pure bristle with chrome plated ABS handle. Bearded shaving soap barbs, refreshing and toning with eucalyptus oil and menthol. Refreshing and toning Proraser Pre Barba Cream, with eucalyptus oil and menthol. Ideal skin preparation for impeccable shaving.